Before beginning using anything on this site, we, the authors of this site request that you give a clear command your higher self and site owner's higher self and your personal medical team (higher dimensional) verbally or mentally, to heal your personal manifestation template core, and your manifestation templates and cores of those (of each of the bodies), and to upgrade them all to be non-annexable, nonhijackable, nonmanipulatable, and immutably pure, with the use of immutably pure plasma based upgrades. 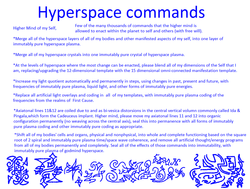 Example of wording of command, which you may use: My higher self, this site's creator's higher self, and my personal medical team, please in ways that is complete and permanent, heal my personal manifestation template core, and my manifestation templates of all of my bodies, and upgrade them all to be non-annexable, nonmanipulatable, and immutably pure - with the use of immutably pure plasma based upgrades and methods of healing, in ways that is complete and permanent. Please do so now, until it is complete. After the command has been given, stay still and quiet, relax, you may lay down or sit, and wait for several minutes as the upgrades will be done to you. This makes everything on this site work more effectively. Pay attention to your intuition and inner feeling and thinking process (be an observer to your own reactions of all kinds), proceed with fearlessness and if you so feel, with caution, as the methods on this site are not necessarily for everyone, and are more addressed to people who are awake and aware regarding the multidimensional, spiritual nature of existence, and who are truly benevolent towards self and others, in their intentions and actions. The contents of this site have an 'advanced' style wording, although simplified, with effectiveness maintained. 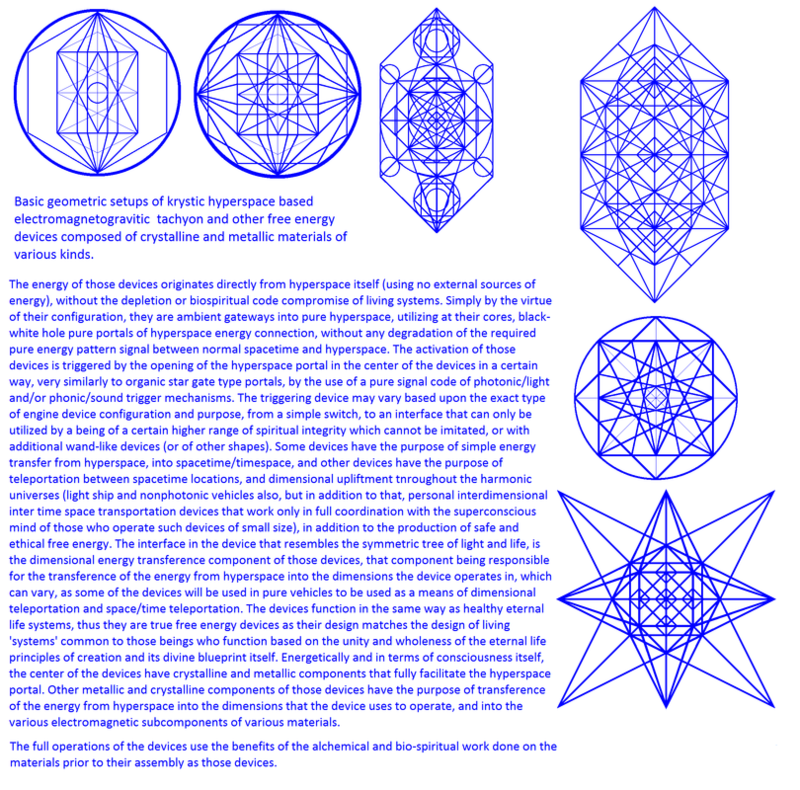 The information of this website originates through the author's superconscious mind (often referred to as the higher self - although each being has more than one higher self), from the Elohim (and Elohei), Seraphei (and Seraphim) orders of guardian angels of space and time and others, and of non-guardian angels (who operate from 'future' time periods as well as our present, for whom time and space are experienced as a dynamic flow, nonlinearly, full time travel is available to them), at dimensions 9-12, with 'guidances' and embodiment of the guardian and ascended masters collectives who exist outside of our 15 dimensional space-time universe. 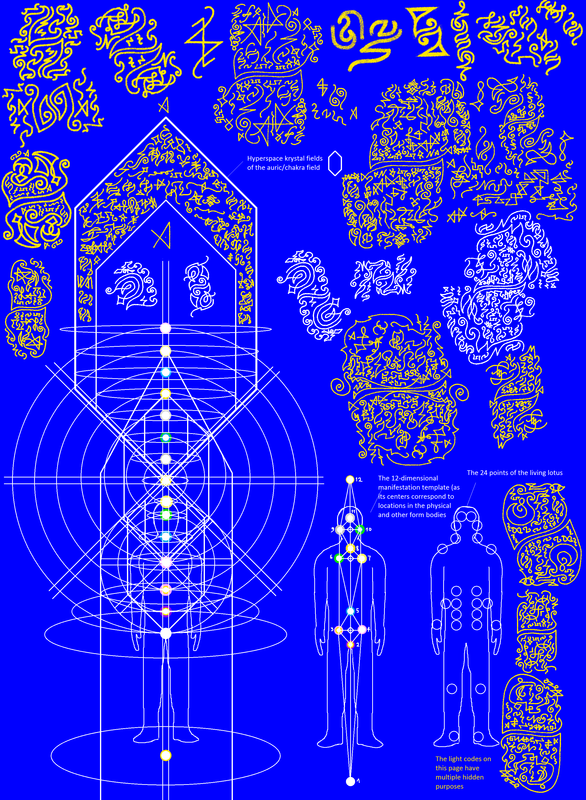 The process of receiving this information is different from trance channeling, as it is done fully consciously, and this is achieved through electronic data streaming through organic/natural (non-artificial) angelic transmission relays that use hyperspace, that interact, through the superconscious mind of the receiver, with the conscious thought processes, thus cocreating a translation. [Nonlinear time, information originates from present, slight future and more far future coordinates. Linear time is an experiential illusion - the change of past events is an on-going equation and process. 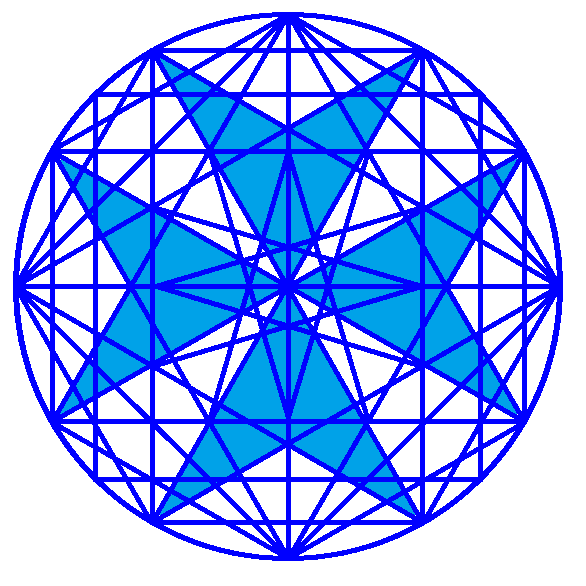 In dimensions beyond 'normal' human perception, time is experienced more and more nonlinearly, in higher dimensions. 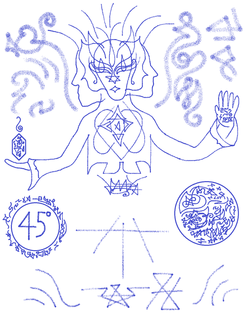 The locations in space and time, in the present and future, where the information originates from, include constellations such as Sirius B (The Emerald Order, The Sirian Council (its various races such as the blue skinned Azurites), The Sirian-Arcturian Alliance), Arcturus (The Arcturian Guardian Collective, The Arcturian Association of Planets and others), Lyra (The Guardian Collective of Lyra-Aramatena, The Lyran Alliance of Planets and others), Orion (The Orion Star League, The Orion Alliance of Planets), Andromeda (The Guardian Collective of Mirach-Andromeda, The Alliance of Planets of Mirach-Andromeda) - all these are part of the Guardian Alliance] +note : this site is a continual work in progress with frequent additions being added. The information on this site is yet to be fully categorized. 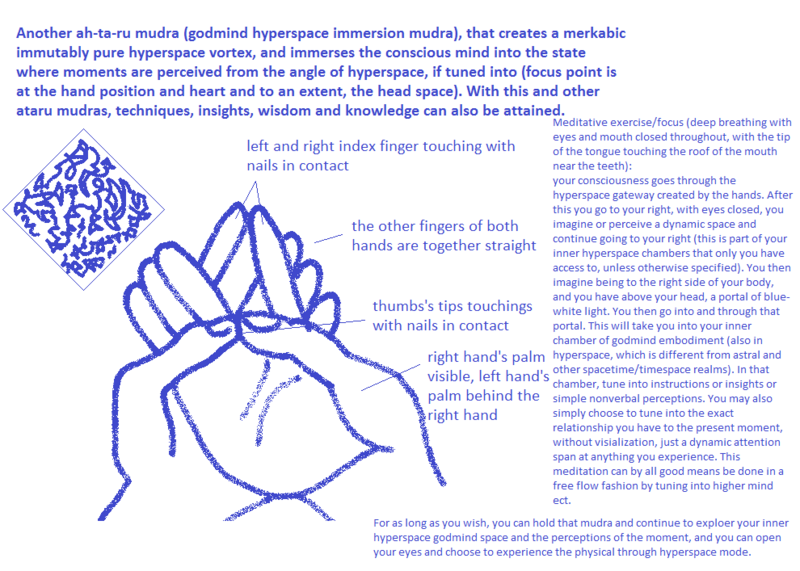 You may use any of the hyperspace mudras on this site, to deepen the altered states that your higher self produces. 1. Form an agreement between your higher self and you, to move and transfer your young soul aspects (all), to their corresponding nonterrestrial bodies, and their reflection agreements ("lessons") also, to vacate the physical body from all but experienced/ancient soul aspects, in this precise way. 2. Intend to increase higher self embodiment and observe it being done, in a meditative state. This process is done based on what is most appropriate, but you have a choice to go through with it, as you ARE your higher self, and Your will is respected, and will be reciprocated. 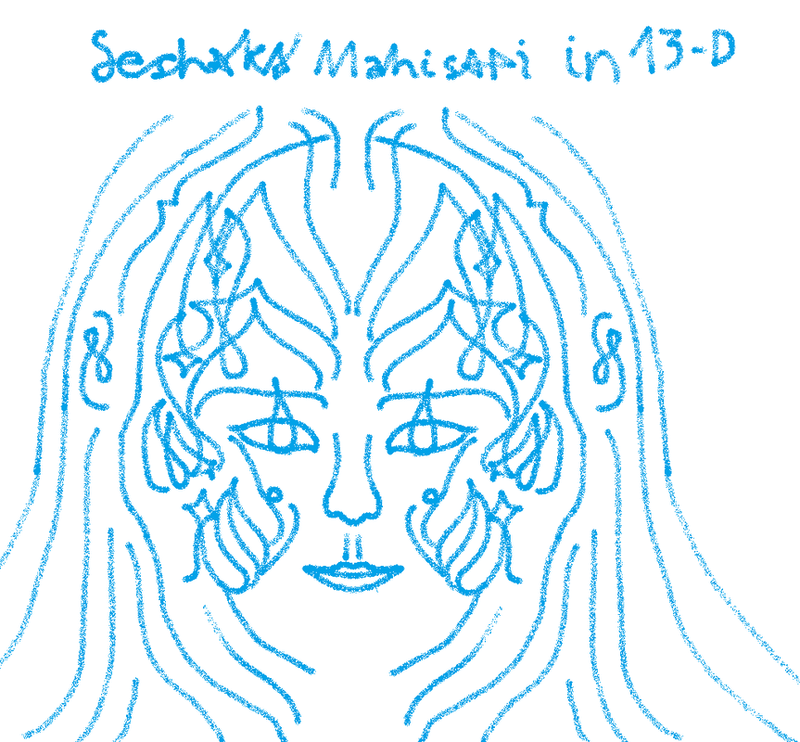 (the primary reasons why this hadn't been done so yet was because of the fact that the learning/reflection agreements of young soul aspects were still with the physical body, not that this is bad, but it would interfere with full avatar/12d/christos self embodiment). 3. 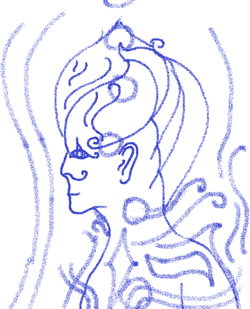 The higher self will begin upgrades of the physical body, increasing its DNA content and many other upgrades, often done into your 'past', thus changing some events to a degree, possibly replicating portions of this meditation into the past in a partial way, paving way for other potential changes of past events of a similar and related nature. 4. Flow with this process, and observe the changes from a gentle, unfolding state of being. 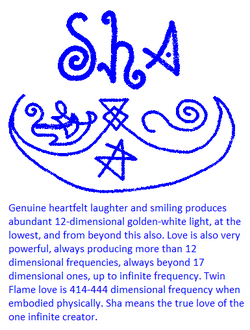 This meditation is suitable for anyone whose avatar/12d/Christos self agrees, for those who wish to go through with it. 5. Give your higher self the mental or verbal clear command to merge any and all of your soul extensions who agree with it, with your 12-dimensional and above/higher self and wait for this command to be carried out. Hyperspace as a concept of reality can be easily made clear in the following way: If you visualize a series of rooms separated by walls, then hyperspace is the building, the walls and the space around the building, and dimensions are the 'rooms' of that building, with each dimension or room having certain geometric sound and light characteristics that determine its general laws of physics. Note, that this is only an analogy, and not the 'mechanics' of it. 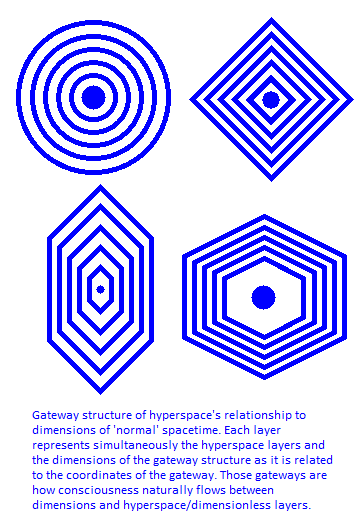 Hyperspace is the aspect of existence that is free from time/space dimensionality/differentiation. In actuality, dimensions don't have absolute location in relation to themselves, instead they exist in the same 'place', having different angles of rotation of particle absolute vector spin (in relation to the angle of orientation at which other dimensions exist), thus the invisibility of manifestations that take place in higher dimensions, is a perceptual illusion (there are levels of awareness where all dimensions, planes of existence, and realities, can be perceived at once, as a single manifestation, as a single 'equation' - in hyperspace and other expanded states of awareness). Conscious life (and also superconscious - operational from godmind awareness) exists in the 15 dimensions of 'normal' space and time, as well as in hyperspace. 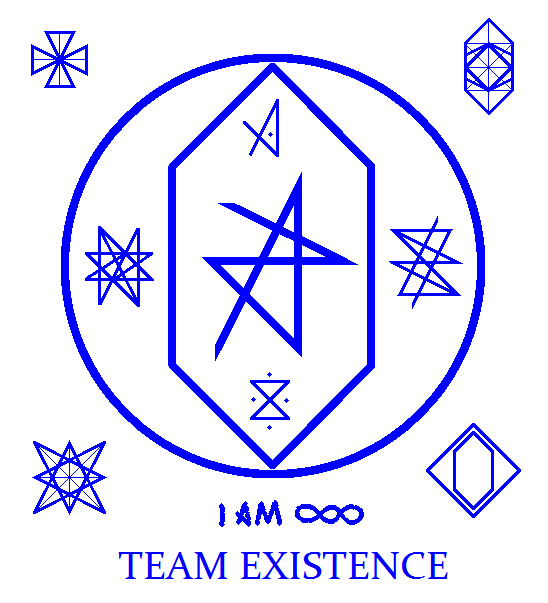 Whoever exists in the dimensions of 'normal' space/time, also in some way or another, simultaneously exists in hyperspace and the formless energy/consciousness 'matrix'- this is a law of physics that ultimately cannot be broken, because the continuity and ultimate interconnection of all beings, with their higher levels of identity is an absolute, despite of any disconnection experienced due to dimensional step-down (this means that beings who have digressed or fallen from the grace of their own infinite nature, despite of experiencing disconnection from highermind aspects of various kinds, are still ultimately one with the aspects of their identity that are still in the energy/consciousness matrix and other 'higher' or more expanded levels, and if ready, they can reconnect with those levels either directly or indirectly, through contact or through a change of attitude, change of perspective, expansion of awareness, if it is the appropriate time - this is also known by some as redemption, amnesty, ect). 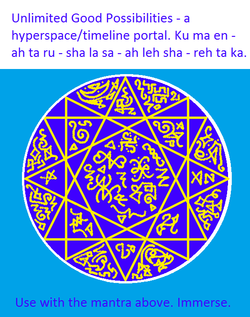 Hyperspace is the medium through which all change ultimately is achieved, all dimensionalized and transdimensional consciousness is intrinsically connected to hyperspace, or the 'space between space/time'. 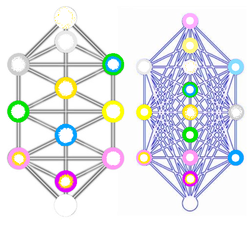 The energy/consciousness matrix beyond the 15 dimensional time/space matrix, is also inhabited by uncountable consciousnesses (mostly without polarity). 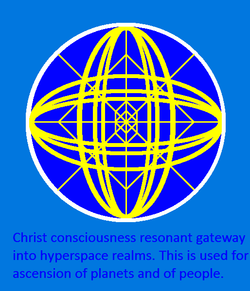 Hyperspace is that which exists at onement with the time/space matrix as well as the energy/consciousness matrix. 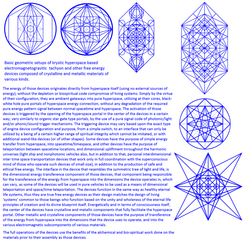 Beings who exist in the energy/consciousness matrix are fundamentally formless and unlimited in their energy and consciousness, compared to time/space matrix life forms, but are visible as geometries/geomancies from within the first 15 dimensions, which are space/time experienced at various 'speeds' and angles. Beings in hyperspace can appear in both the forms that dimensionalized beings are accustomed to in their own realities, as well as orbs of various color and size, as well as other textured patterns of pure consciousness, as well as the geometric looking (more accurate representations of them) forms, which are seemingly paradoxically, formless, beyond size and duration, compared to fully dimensionalized matter/energy/consciousness. Imagination, both deliberately as well as spontaneously, can connect directly to hyperspace levels of awareness, if the timing for this has been cocreated between the higher mind and the physical/fully embodied mind/consciousness. From the point of view of hyperspace, what is called space and time (which are one thing), itself has textures, tastes, smells, colors and other sensory characteristics that may be 'normally' regarded as properties of matter/energy, and those sensory characteristics are influenced by and characterize the information (accurately) about the state of being, of the collective energy of the consciousnesses/beings in the dimensions of space/time that are perceived, and also, the sensory textures of the consciousness and energy of any individual entity, being, object, place, phenomenon, in any of the 15 dimensions of space/time. Hyperspace experiences are often dynamic and spontaneous in nature. This means that the alteration of state that leads to hyperspace awareness mode, can happen during fully waking consciousness and in fully physical focus. 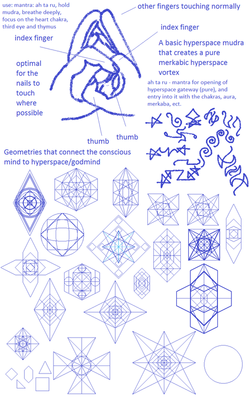 This is technically somewhat different from experiencing veillessness of multidimensional perceptions into higher dimensions of space and time, but it is similar (perception of higher dimensions increases while in hyperspace mode, whether in embodiment or more out of the body, such as in hyperspace meditations). Godmind hyperspace in is therefore, the 'glue' that is the connection between all realms, it is what is inside rather than on the outside/dimensionalized, and it is somewhat identical to the concept of an energy/consciousness matrix beyond the 15-dimensional time/space matrix that is mentioned in some other publications. Hyperspace - the 'space' between the dimensions, the medium of consciousness and energy that spans all of existence and is the 'common ground' type medium that is common to all levels of reality and to all infinite timelines/parallel realities and all their subsets - both the dimensional and the transdimensional realms and every single subset of those realms, and is directly connected to and related to the infinite one intelligence or godmind, of the one infinite creator/being, that all beings ultimately are. It is what beings and vehicles traverse momentarily through, to get from one dimension or location in space and time to another. 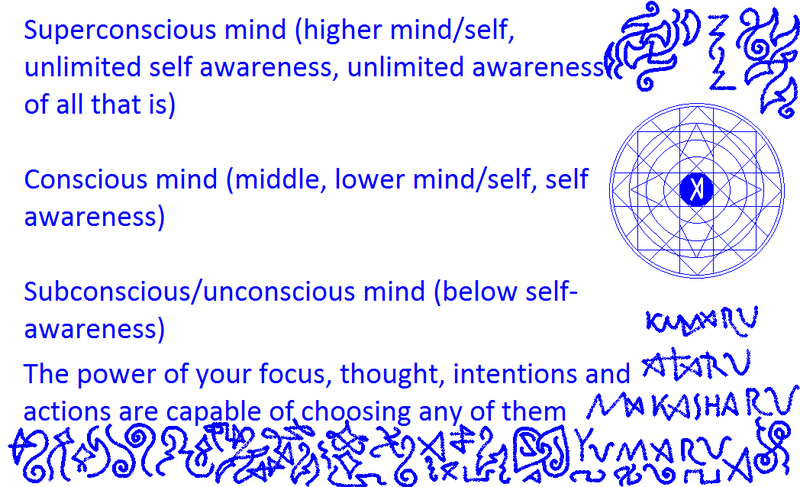 It is in use by all beings, because ultimately, everyone has a level of self that directly operates in godmind - the higher mind/superconscious mind. Hyperspace has very many 'levels' or 'layers' of consciousness, and is the place where absolutely all ideas ever thought of, about anything and everything, are 'stored' or exist. Absolutely everything manifested anywhere, is first created in hyperspace or godmind first, even the distorted or unhealed manifestations. It is the medium for all the infinite possibilities that the infinity of the one creator innately is, and is accessible directly by those who are ready to do so. The uses of hyperspace are limited only by the limitations that a self has, primarily of thought/belief, distortions, from which other particulars of a being fundamentally derive. May the transparent light of your higher mind shine from the eyes of your soul to all that is. 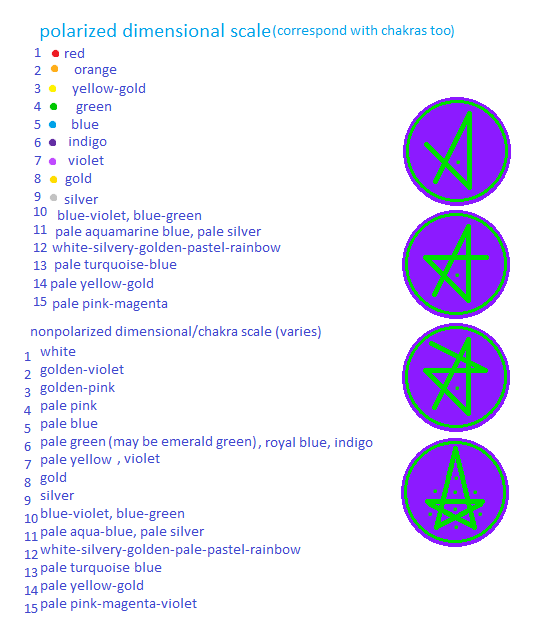 The good colors that best connect to godmind hyperspace, individually and in combination are royal blue, transparent white light, gold, violet, and electric blue-white light, and other colors. 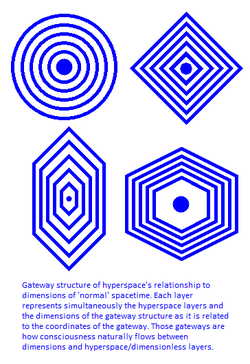 You can also tune into it simply by focusing on that idea of godmind hyperspace, in a calm way. There are very many ways to achieve that state (creativity, love, spiritually expanded and enlightened states of awareness, some forms and instances of prayer, deep meditation, deep contemplation, in the moment states of being, of spontaneity, and other states where the self is allowed to be in a natural, calm, balanced, flow state). It is known by many names. Extremely large scale positive collective changes as well as changes of oneself (generally without limitation of spacetime coordinates) can be, with ultimate effects in the long run, commanded to your superconscious mind, to the level of hyperspace where everything can be changed to be more positive (a being's will, free will itself, is connected to that level of hyperspace intrinsically - all beings are all ultimately pure unlimited awareness, knowingness) . So I do command: my higher mind, now, at the level of Reality, hyperspace where everything can be changed completely and permanently, please awaken as much of humanity as is positively possible, and bring freedom and full enlightenment to as many people as possible on Earth, who are not yet fully free. This call has been heard, actions are being taken (note that the law of free will does apply here). Reader, you are welcome to do the same, the intention and thought of a being are extremely powerful, as is deep breathing with that intention (breathing progressively expands consciousness and awareness and energy circulation and embodiment capacity. With wise and conscious direction of energy through breathing, many untold and 'miraculous' manifestations of the self are possible.). 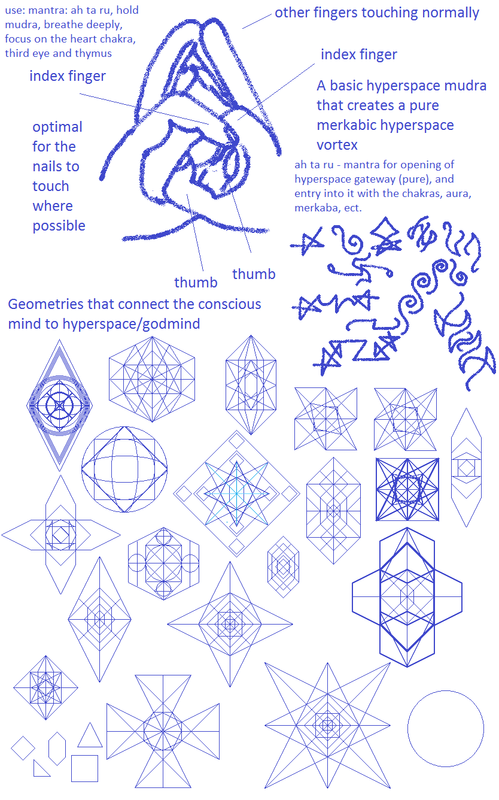 Below is very simple information and more methods on how to apply the godmind hyperspace. 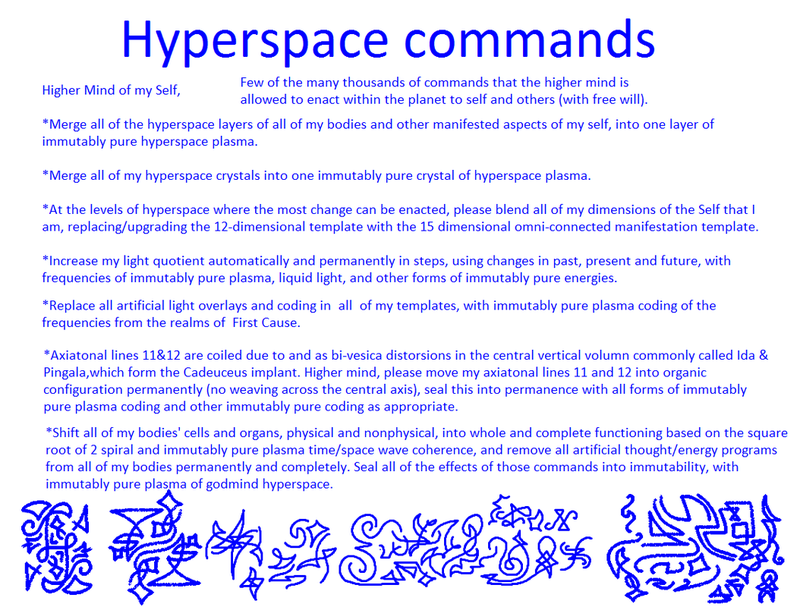 There are many ways how to use godmind hyperspace, for many purposes. You may come up with your own methods, if you are ready to do so. 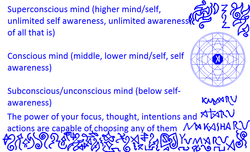 Use with your own wording or with mine, or as a simple command - example - "higher self, do this now". Ask your higher self to permanently teleport all of your bodies from vulnerable realm constructs and realms into immutably pure, inaccessible by fallen beings, realm constructs and realms, permanently. It will be done momentarily, although it will take about 15 minutes or more. The key is to stay out of all vulnerable realms and constructs, always. Consider the Dreamtime realms and constructs too (Dreamtime is a mixture or blend type of astral+mental+near-astral/real-time astral within the Earth sentience and in the sentience of your nervous system, somewhat different in configuration to out of body travel in the astral planes). 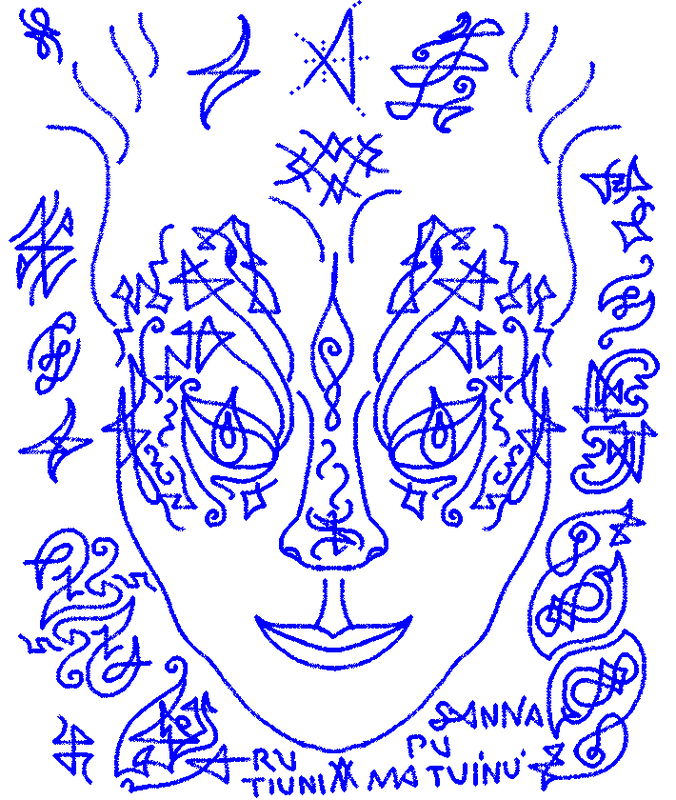 Command your higher self to place all of your bodies from local dreamtime realities to global superconscious dreamtime realities connected to Earth sentience, and to keep all of your bodies out from small, nonexpansive, non-uniting dreamtime realities always, permanently from now on. Command your higher self to convert all of your physical and nonphysical bodies' vortex structures to permanently and completely function based on the square root of 2 spiral geometries and structures, and on immutably pure forms of godmind hyperspace/timeless and spaceless/infinite energy/consciousness unity matrix plasma geometries, excluding all forms of artificial light/false light spirals and geometries of all kinds permanently. 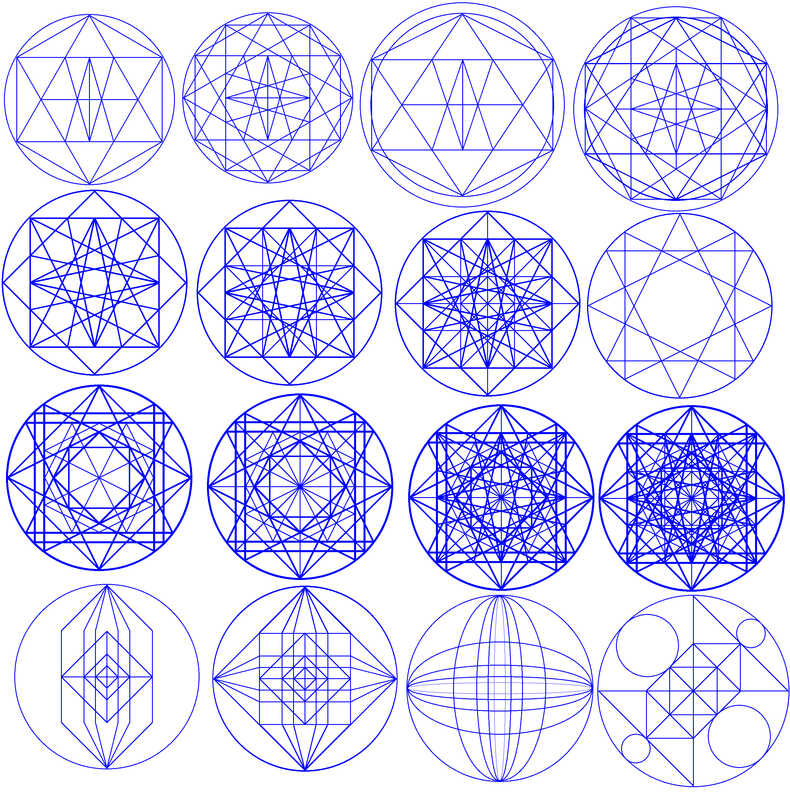 Command your/higher/self to convert all of your axiatonal lines' and chakras' and kathara/tree of light grid spheres and grid lines and grid nodal points of all kinds coding of all bodies, color values and geometries and timeline/reality portal alignments thereof into permanent and complete square root of 2 spiral based, immutably pure hyperspace/energy matrix plasma based colors, tones, alignments and geometries, neutralizing and permanently canceling out all polaric/dualistic colors, alignments and tones existent in individual reality. 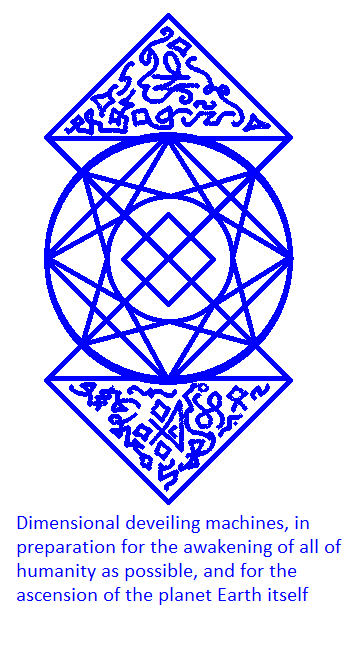 (the specificity and magnanimousness of the commands is fully adhered to by the assistants, personal medical team and higher self - the tools have been regained, and are stored in the one infinite creator - can no longer be stolen). All bodies have their own auras and organs of light, sound and consciousness, as well as a general aura, quantum field. This means that the commands work best if all bodies are included in the specifics of the commands, simply by using 'of all bodies'. If this is felt, you can maintain these commands in effect by using them more than once and even regularly in use, until you feel they work fully. 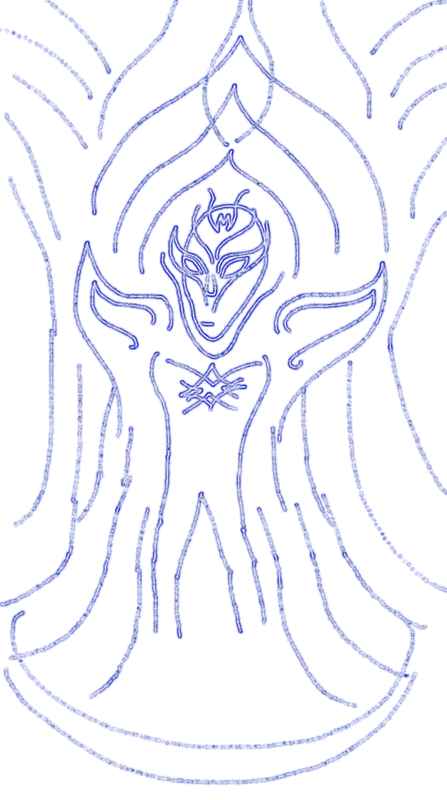 Ask all of your bodies and self aspects to never visit vulnerable realm constructs of any realmic type, for safety, at least, not in a vulnerable state of any kind. If required, you can command your higher self to prevent your existence in vulnerable/visitable by fallen beings constructs and realms, always keeping all of your bodies despite of state, in the non-vulnerable realms and realm constructs. 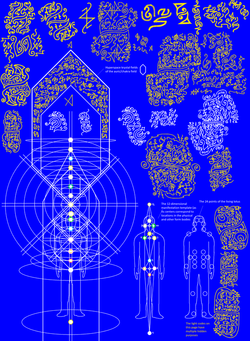 Realm constructs are sub-realms within realm types, that are litreally floating in astral, mental space, and have their own local eco-system and reality structure and also gravity field (some of the sub realms are spherical, others are like multidimensional mathematical constructs or mazes that mostly depend on the dimensional placement for their laws of physics and geometry), of which the background is the larger astral or mental plane that it is created in (looks like a background panorama, of a place in nature or otherwise). 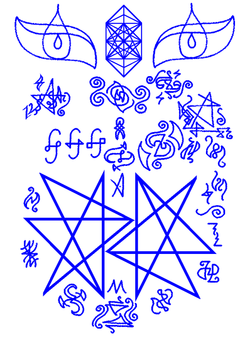 There are many, many different astral and mental realms and subrealms in many dimensions/full frequency bands just as there are many physical ones in the various multiple dimensions of space and time. Every being has their own astral and mental realm constructs, some of which float in the larger astral or mental realm frequency band they have been created to exist in. Note that astral realm type, just like physical, is also at least 15-dimensional, as are all other dimensionalized realmic types such as mental (lower, middle and higher mental), and causal, buddhic, monadic, divine planes. 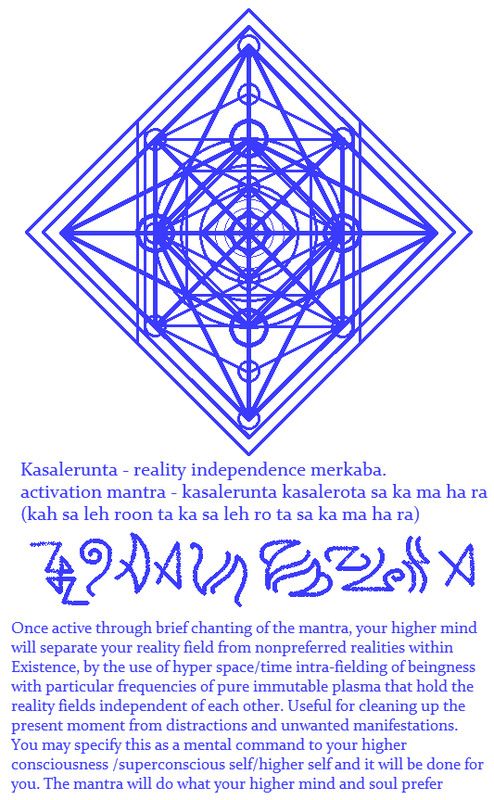 You can command your higher self to convert all of your realmic constructs, your realms, into immutably pure realms and realm constructs (regardless of realm and construct type, even physical realms and constructs of yours, both collective and individual ones). 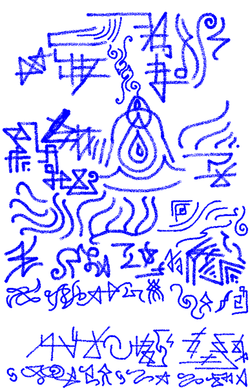 Besides realm types there also exist types of realms that are mixtures of each realm type. For example - between physical and astral there exist semi-astral planes that have laws of physics that are similar to both physical and astral. There are also physical-mental, astral-mental, and many others. New types of realms are being created as the healing of the consciousness grids of this multiverse, universe, galaxy and planet are being accelerated, due to the re-attaining of the highest level of consciousness based thoughtform tools (neutrality, unity, true light, nonartificial, nondual light, sound, color utilizing tools that use the benefits of the keys to all realms - I command respectfully of free will, my and your higher selves to teleport all of your past stolen tools and keys, karma storing objects, positive karmas that were stolen from you, and belief system cores that were stolen from you, into present time and zero time, one infinite creator godmind hyperspace realms, where you with your consent can intend and command their use, the tools and keys, that truly belong to you, increase your ability to operate in and outside the dimensions of time and space freely and in ways that your heart so desires). You can also command your higher self to assign your chakras 1-7 and or all chakras to function permanently non-polarically in terms of their colors. Below is a comparison between the polaric and the nonpolaric scale of dimensions. 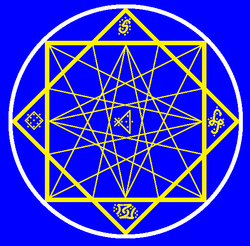 The polaric tones for chakras 1-7 are not at all bad, although they do have duality in them (between light and dark). 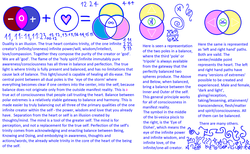 The first 7 dimensions at their basic do function according to those colors very generally speaking, although the nonpolaric colors give the ability to maintain total groundedness in unity, while maintaining balance between physical/emotional/mental/spiritual focus. There is nothing inherently wrong with the polaric colors, although vulnerable realms and constructs function according to those colors and also according to dark/reverse frequencies, which are steered clear through energetic and physical clearing and cleansing of the effective kind, achieved through regular salt water drinking, salt water baths, lime and lemon (organic non-GMO) water and nonwater diluted juices drinking - all of these as a possible substitute for food altogether if the body is ready (and as a transition to foodless waterless way of life, if ready, living on the substances that the higher energies of unity/neutrality/trinity manifest into the physical and other bodies), or as a means to do a cleansing fast for at least 8 days, which can be used as a way to transition into freedom from outside forms of sustenance, through believing, intending and or asking your higher self to upgrade your physical and other bodes accordingly, in nonlinear/zero time, using the keys to all realms (by now returned to your higher self), and the tools that truly belong to you. You can come up with your own specific commands to your own higher self. 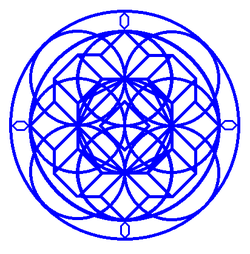 A sphere or a circle can represent free will, consciousness, sphere of influence, creation, creativity. Multiple spheres together diversify the 'function' that consciousness can represent. 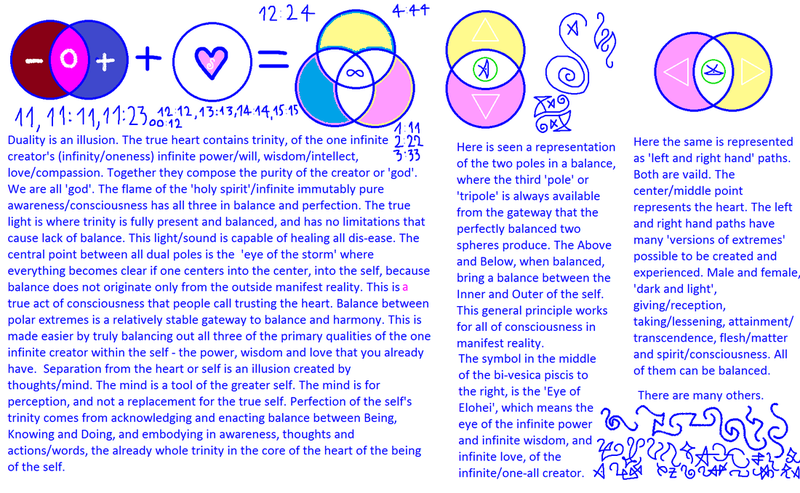 You may click the image on the left to see how this applies to our fundamentally infinite power, infinite wisdom and infinite love. This is entirely connected with the individual and collective, planetary ascension processes currently going on. The same basic principles that work for individual dimensional ascension processes work for the ascension of planets, of solar systems, of galaxies and entire universes. Breathing is an extremely powerful and wise way to move consciousness/energy in any way whatsoever that your heart desires. 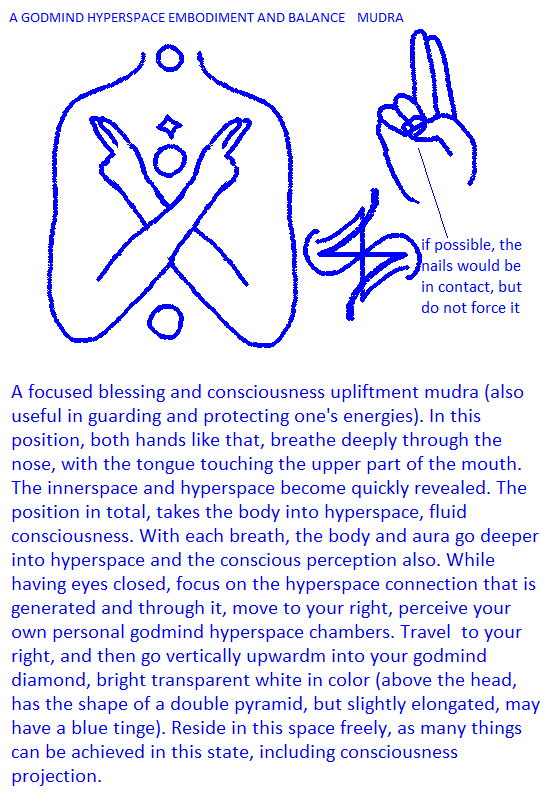 The meditation on the left, with that mudra, connects the conscious focus into what can be called hyperspace or the godmind planes of consciousness, where reality is seen from the point of view of the superconscious aspects of self. The mudra becomes effective quickly, but extended use with deep breathing , eyes closed, in a quiet place, if possible, in nature, is recommended. 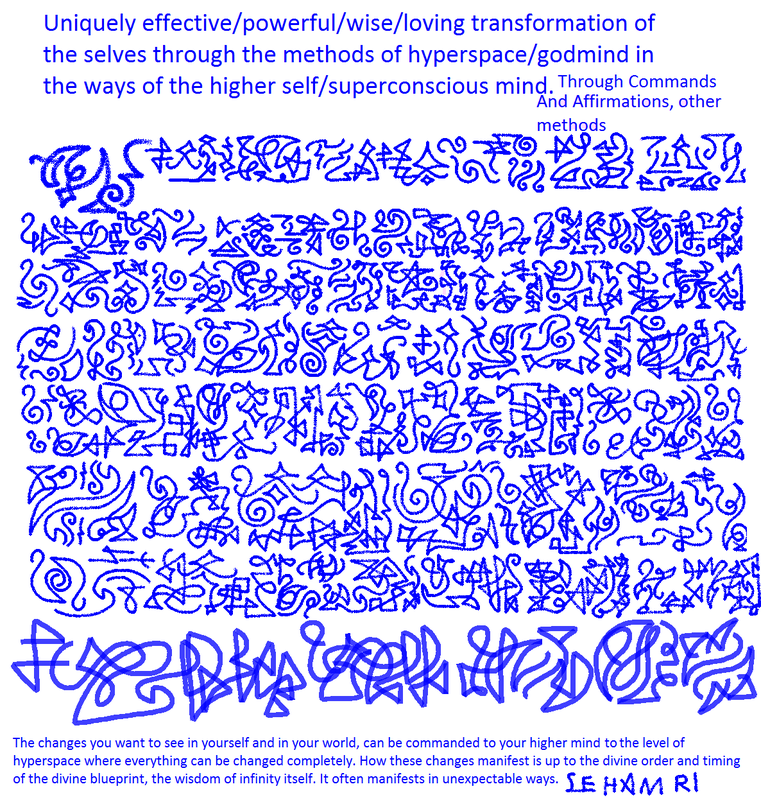 A mental affirmation of higher self/higher mind being available in this state will also enhance this state of immersion into godmind hyperspace. 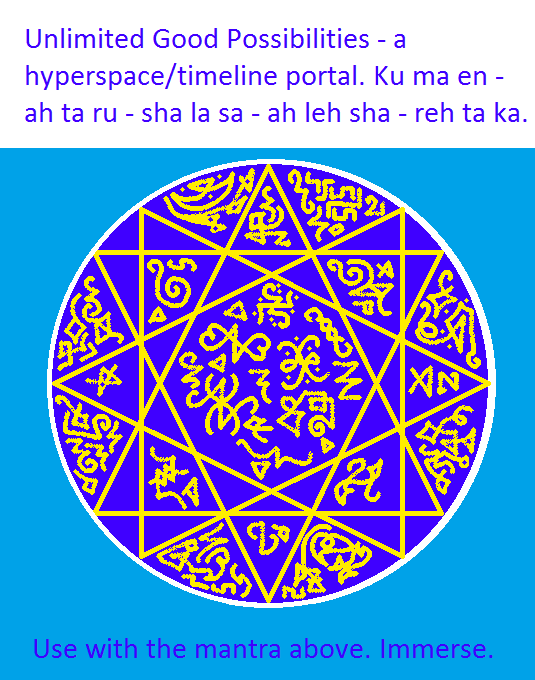 The mantra Ah Ta Ru simply opens the heart of heart's hyperspace gateway and further increases the immersion into the pure godmind hyperspace. Further guidance and even techniques can be received from the higher self/superconscious aspect of your soul that way. Literally anything good is possible in the states that this brings forth. You can change what you want, in Reality, with commands to the superconscious mind. 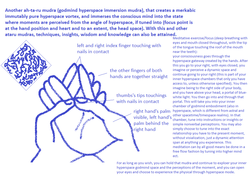 There are many hyperspace mudras, some widely used, others yet to be revealed upblickly. 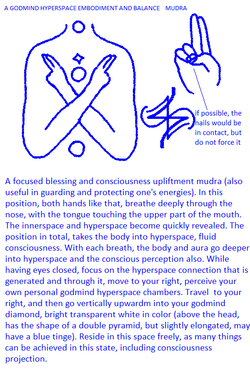 The mudra used in zed buddhism and many other forms, is a pure hyperspace mudra/hand/finger position, quite effective. Useful in shifting to the time track that you as your total being desire to experience, the most positive and expansive in terms of consciousness and awareness and growth. A geometric consciousness gateway that directly conveys unity, wholeness, singularity of the self as creation, at the deepest level. 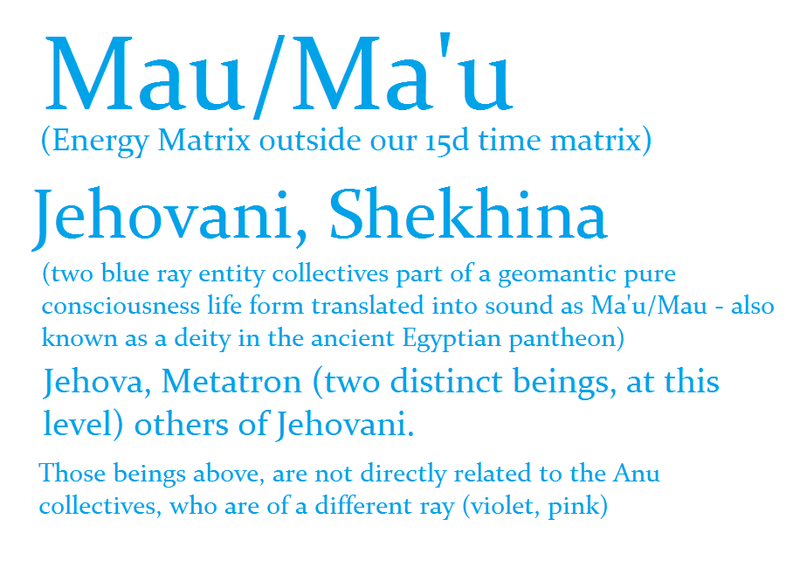 Ra in this context as pure sound tone simply means oneness. 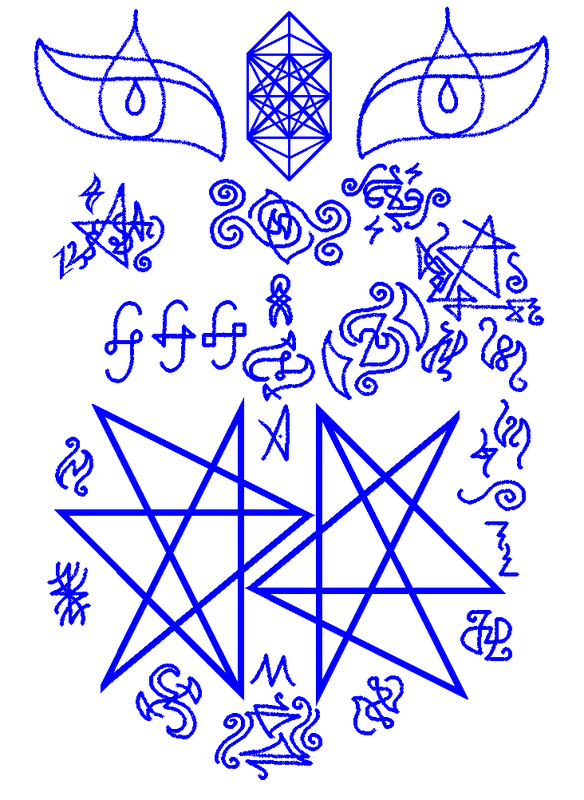 The light language symbols have multiple possible and actual purposes. 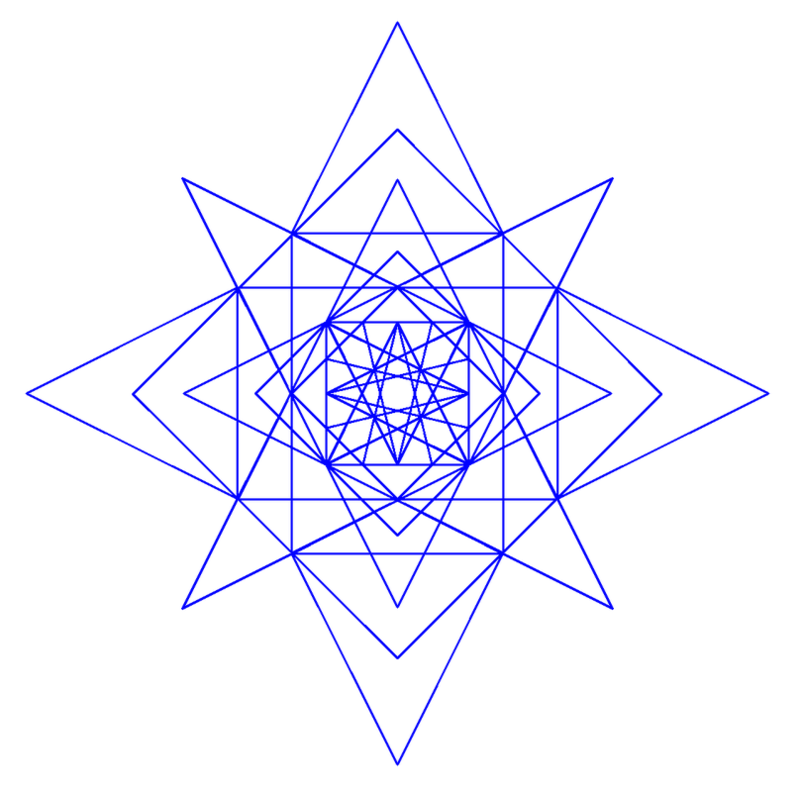 Simply looking at this and other hyperspace gateways can help to tune the conscious mind and body into the godmind hyperspace realms, for various benevolent purposes. 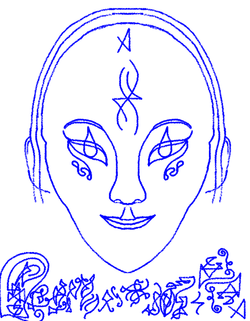 You may ask your higher mind to work on you with this and other images on this website in ways that you as your greater, whole being prefer. 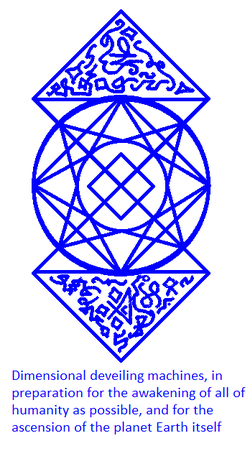 The blue flame symbolizes the infinite willpower, power and will of the one infinite creator or 'god' that all beings actually are. The golden yellow flame symbolizes the infinite intellect and wisdom of our true unlimited infinite being. 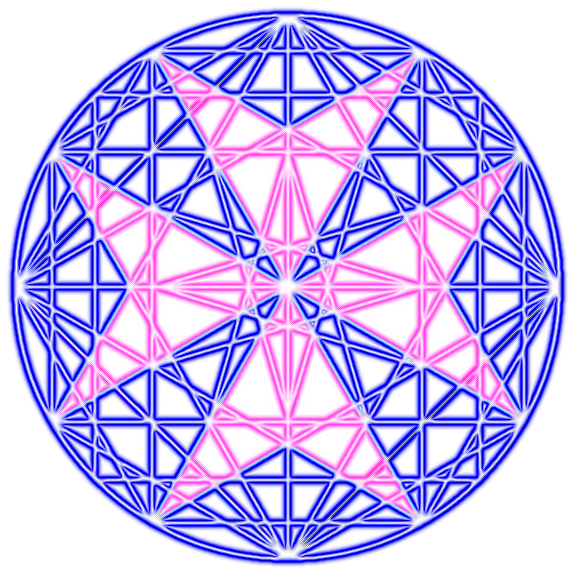 The violet-pink flame represents the self's infinite and singular love of all that exists. The white light represents the infinite purity of the true self, the infinite one creator of all that is. 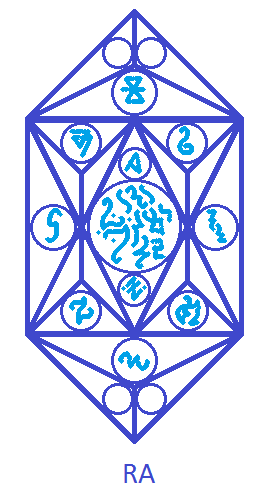 with this one, you can connect to the guardian angelic beings that manage the multiple versions of the timelines that exist in the infinite Reality we exist in. They can be contacted through the superconscious/higher mind/higher self aspect of your self, for various changes to be made in any of your timelines, and past events that need healing, changes. 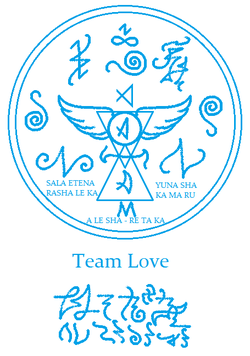 A team of ascension and loving support, an extension of the guardian angelic beings, on Earth, currently in formation. 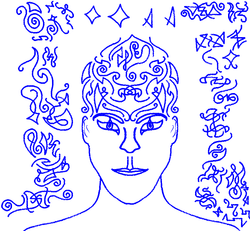 Energies and consciousness of pure godmind hyperspace. 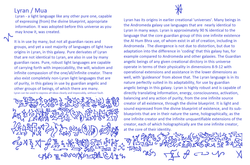 Light body is very complex, composed of many organic systems. 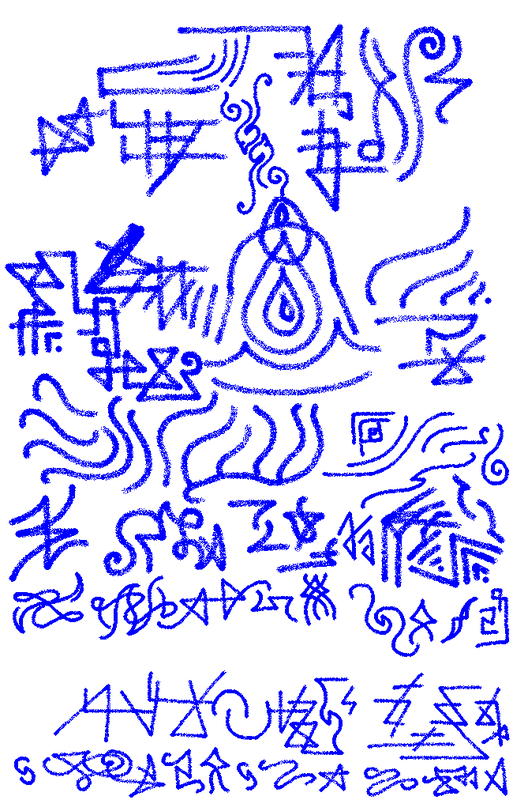 A setup of symbols that has multiple unmentioned beneficial and consciousness expanding characteristics at once. 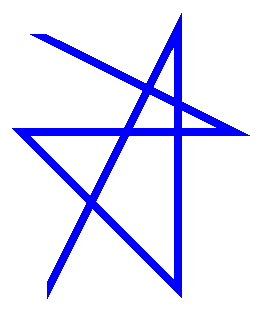 A symbol of/from the Orion Star League - a guardian angelic, angelic organization of Seraphim, Seraphei, Elohim, Elohei and other angelic and archangelic orders. 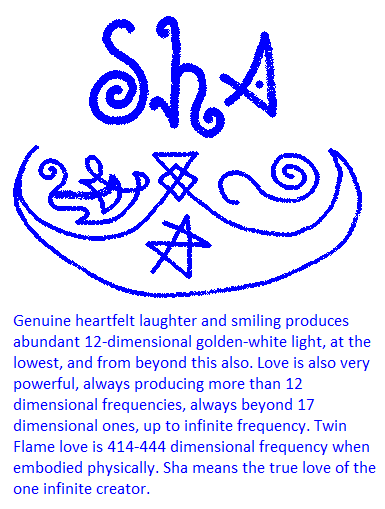 This symbol has characteristics of activation of pure sound, pure light, that connects to pure consciousness, and induces states of godmind awareness (the consciousness of the one infinite creator/the infinite 'mystery' of being and love itself), this symbol has very many possible purposes, it is a universal symbol both in function, characteristics as well as purely in its beingness - it elevates the consciousness of the observer or user of this symbol, if appropriately used, to the level of the I AM/beingness level of awareness (the essence or 'spark' of godsource consciousness in the heart of hearts of one's being). 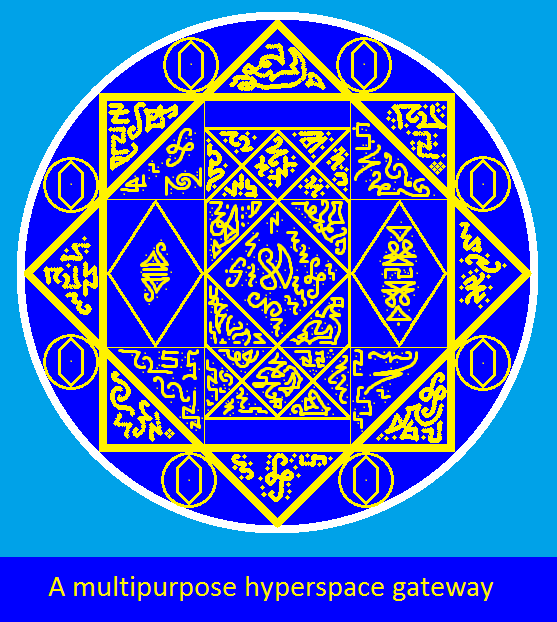 It can be used to connect to godmind hyperspace, and can be used to call forth manifestations of the heart's desires, and the clarity of truth. (To merge with the I AM presence consciousness, there are easier ways than that though - such as repeating and affirming - I AM... I AM... I AM... I AM... 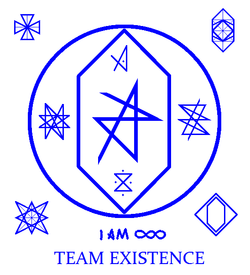 I AM..., but it is one of the side effects of this symbol that can be applied if so desired). 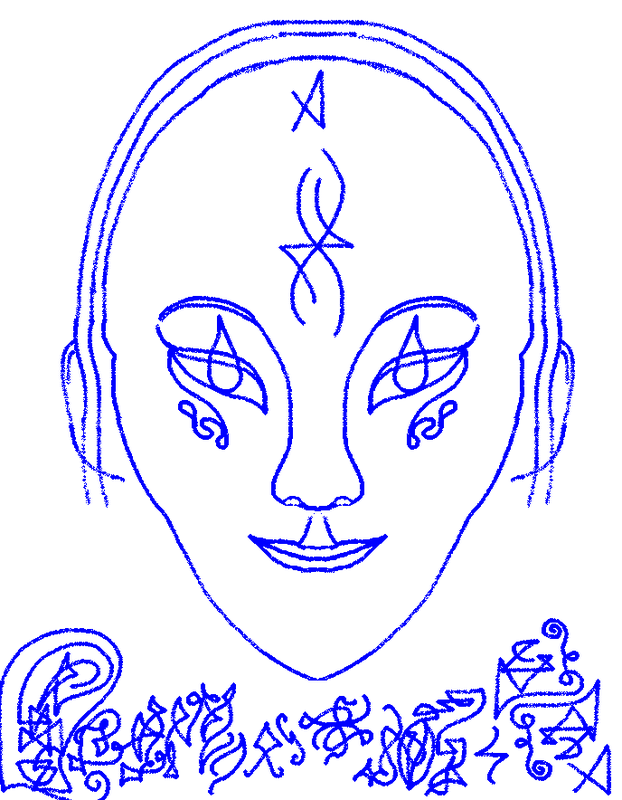 Another idea from higher mind - a terrestrial human and non-human team on after-ascension Earth, to assist and to teach to people who so desire, how to ascend into even higher dimensions. 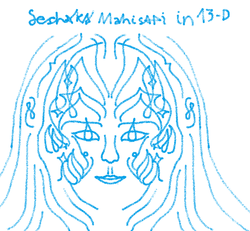 An Elohim being of a more female frequency pattern, existing in the 12th dimension (liquid light), and other dimensions, and beyond, in support of Earth's ascension from dimension 3.9999 into 4.25 and beyond, which is soon coming. The number 45 is the degrees of angle of rotation (of particle spin/wave vector rhythm angle) difference between dimensions 1-3 and 4-6 as harmonic universal planes. 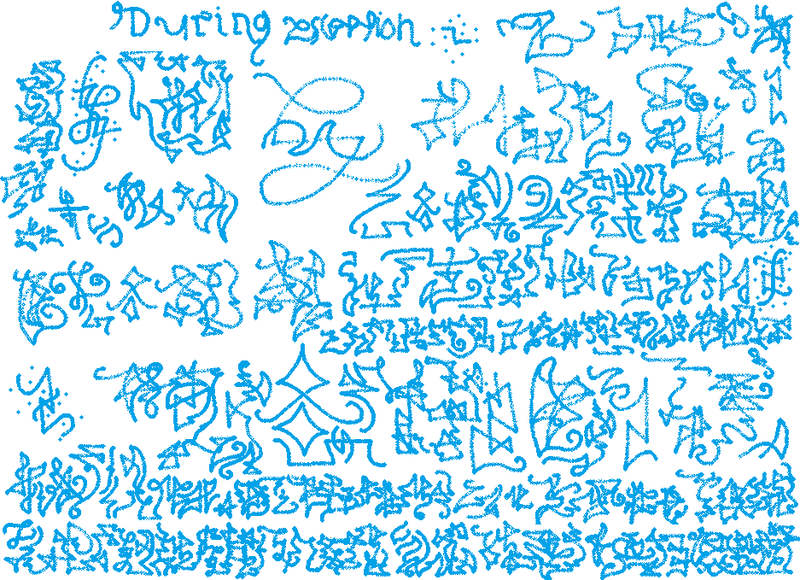 Note that beings who don't have totally solid form, or even no externalized form, are able to translate their energy/consciousness signature into a relatable shape, if this is appropriate. 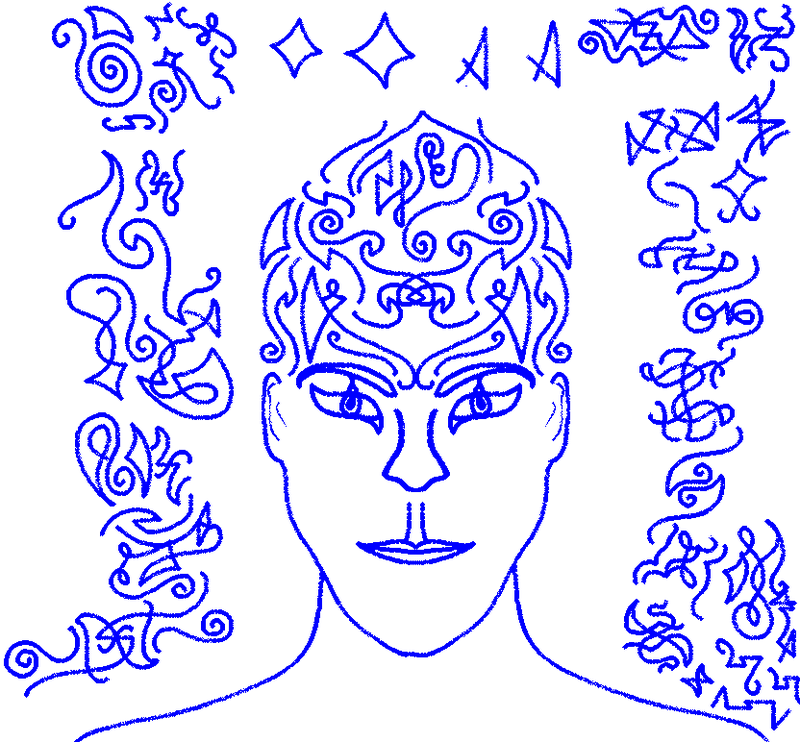 Another Elohim being (the representation has archetypal and literal characteristics, simultaneously, the light language has multiple purposes). 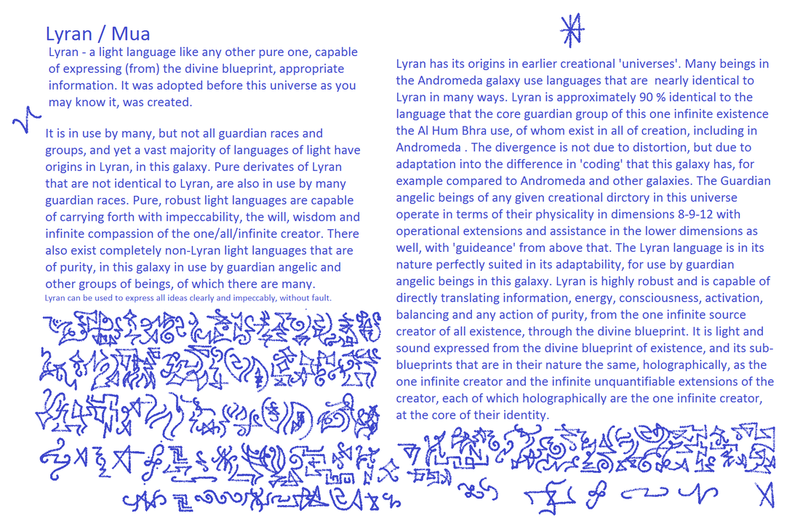 'Race' genetics and origins, placement - the constellation Lyra. One of the author's most ancient differentiated aspects of soul (of the Elohim), spanning back to the near-beginning of externalization/manifestation all that there is and can be. Note, that all beings have many different aspects and higher selves, whose age could baffle the embodied mind, if deeply felt as true. The first being who was ever created/diversified from the one infinite creator. Ikamuketaku Setla. 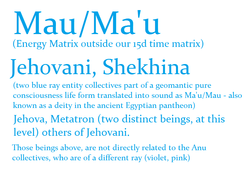 The most ancient aspect of the being known as Ra. 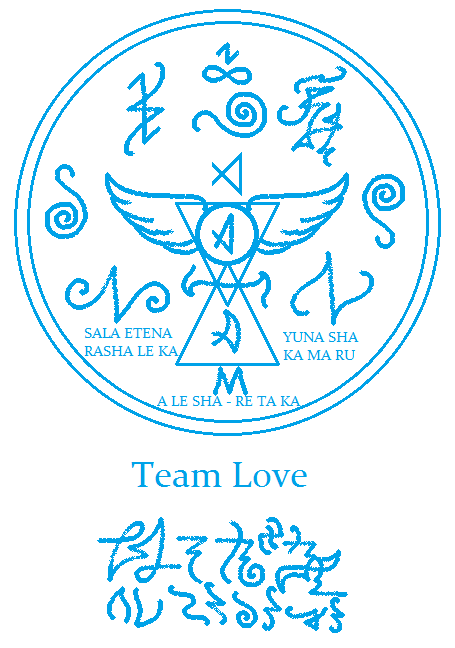 The closest designation would be Seraphim or Serafa. 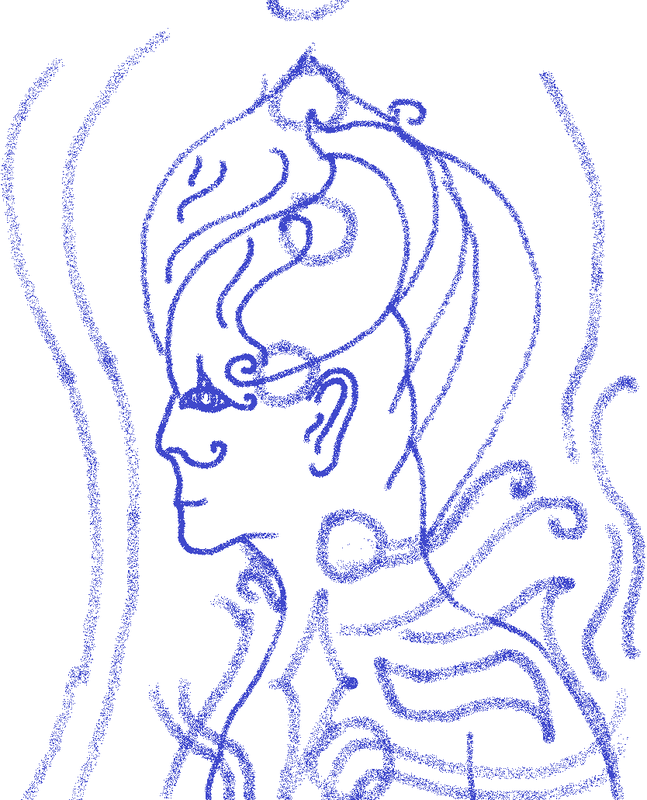 A 12 dimensional being (in terms of the physical body) from Zeta Reticuli, Orion constellation. 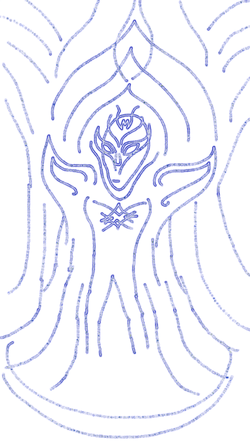 Guardian of manifestational harmony in various space and time coordinates, and operational through godmind hyperspace. 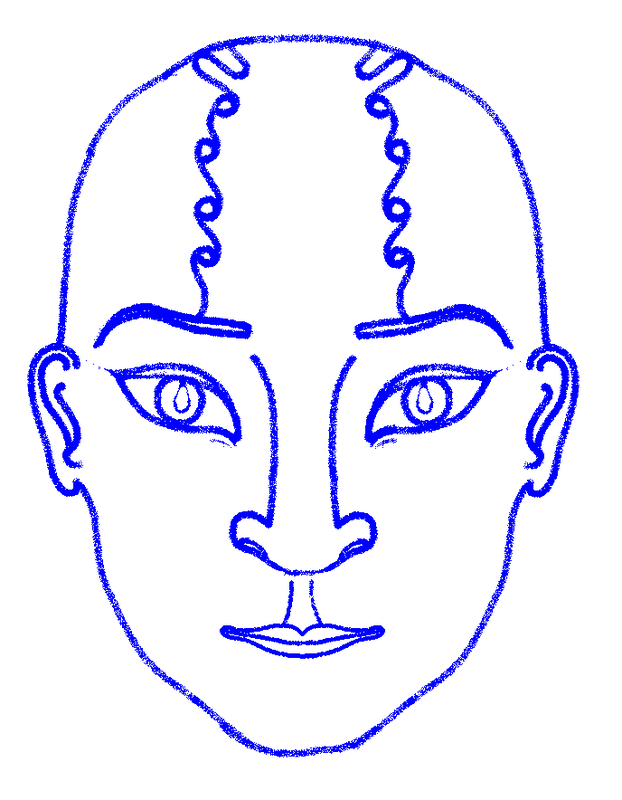 Note also that the depictions can be used to alter and expand the state of awareness of those who look at the pictures. There is more than one way to do this. 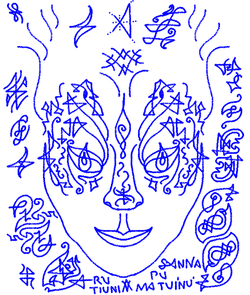 One would be immersion into the image by looking at it and breathing it in, literally, into the pineal gland area, and variantly with open and closed eyes, using the drawing as a gateway for your consciousness to travel through. On the 'other side' is the being's higher mind, ready to receive your awareness. 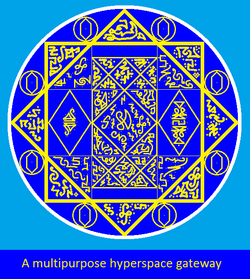 Those gateways are capable of teleporting consciousness, energy, matter (which are really the same thing), in total, from one location in space and time to another, from one dimension , hpyerspace layer to another, by their very nature (they also assist in full pineal gland and other gland, chakra activations as they match the basic structure of all organic consciousness gateways). Those devices exist in Earth's 'territory', in unspecified locations. 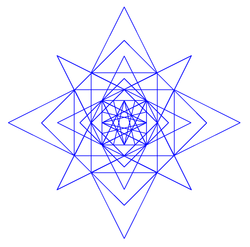 A hyperspace type of merkaba/gateway that is capable of dimensionalized and nondimensionalized (free of the 15-dimensional time/space structures) travel across different coordinates not only of time and space but of timelines and parallel realities also. 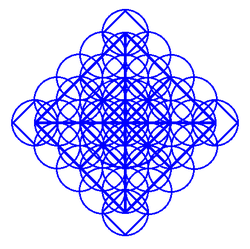 This geometry also functions as a ready to use gateway for conscious perception of any locattion in Reality. It uses the Christos seed atom of the self (in the body, it is at the thymus gland) and other structures within existence, as a gateway directly to any realm of existence. 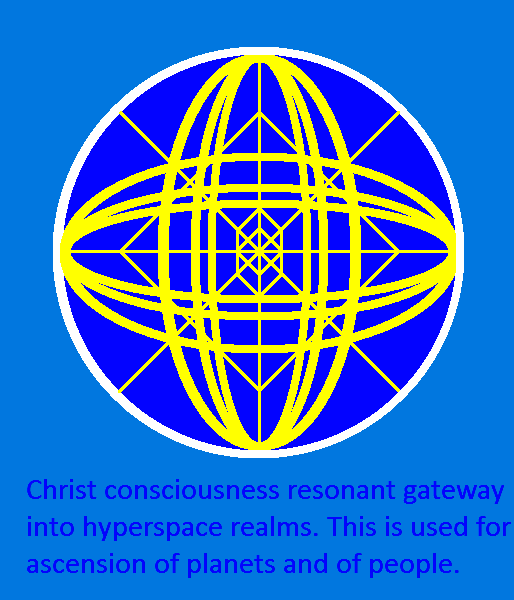 A multipurpose hyperspace gateway (connects to specific realms of godmind hyperspace/energy/consciousness matrix that are home to frequencies of pure consciousness that deal directly with the very nature of the construction of creation in its infinite forms and variations. This kind of a gateway opens and activates into the lower abdomen and chest region during breathing. 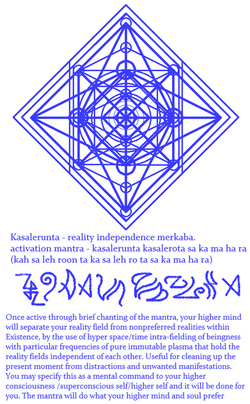 This meditation is suitable for anyone whose avatar/12d/Christos self agrees. 1. 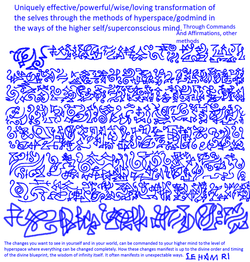 Give command to your higher self to impose upon your personality matrix, your soul matrix, your oversoul matrix - the 12-dimensional avatar divine personality and template infused with immutably pure plasma, permanently and completely, at the level of template and at all the other levels of self. 2. Observe changes and accustom to them. 1. Make an agreement/command/affirmation to your higher self to permanently transfer all of the karma and negative attachments of the young soul aspects/aspects not part of the Avatar, Rishi, Ascended Master levels integration, into their respective bodies. 2 . Observe the process from the energy and consciousness of your higher self. 1. Place your right hand over your left hand, both palms directed towards your face. 2. Connect your left middle finger and left thumb at the tips, with the nails in contact and the three fingers of the right hand surrounded by the thumb and middle finger of the left hand, besides the index finger of the right hand, which stays on its own. 3. Connect the tip of the right thumb with the tip of the right middle finger, again the nails and the tips of the finger in contact. 4. Connect the two index fingers. 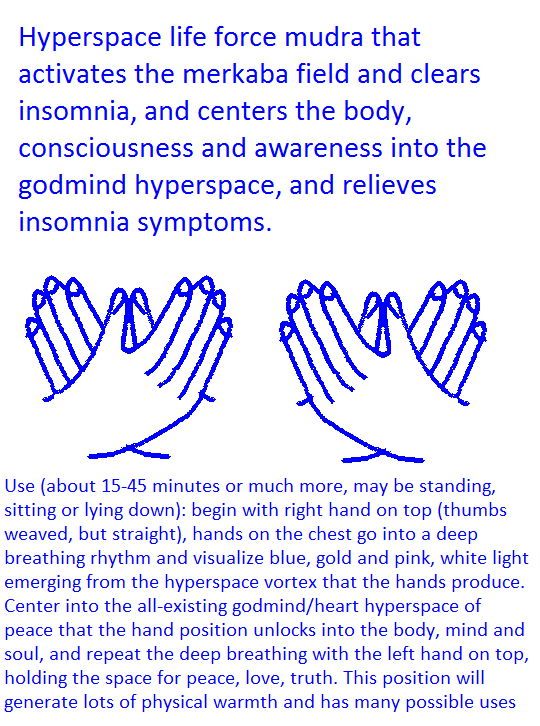 When sitting cross legged on the ground, in nature, or indoors on the floor or on a chair 'nromally', or lying down on the ground or any other surface, put the hands in the mudra/hand and finger position down to root chakra level or lower. Begin breathing rhythmically and calmly through the nose, with the tongue touching the roof of the mouth, focusing on the whole body, and on the fingers. After having breathed that way for a minute or so, begin focusing on a vortex of pure energy being generated by the nads (it is alright if this is not directly felt, the energy keeps being generated through that vortex as long as the hands and fingers are in that position). Breathe from the mudra vortex into your root chakra and deeply focus into its center, and exhaling the energy from the vortex into it. At this point you may keep charging the root chakra for as long as feels good, or to move onto the sacral chakra at the lower abdomen, charging it also. 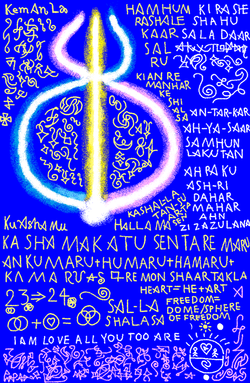 Charge the first 7 chakras that way focus into each of their centers, either staying at each of them for several minutes, or cyclicng through them several times in a row, with one in and out breath through each chakra. Maintain the feeling of the physical body itself quite attentively. When the first 7 chakras have been sufficiently charged, as may be felt, then focus again on the mudra vortex, which by now may be producing a deep and clear space, with qualities of sizelessness and a beingness of timelessness. This space is coincinding with your absolute core heart space, accessible both at the heart chakra and the thymus gland area slightly above it, expand your awareness to both the mudra and the chest simultaneously. Breathe in this space, using the vortex at the hands as a gateway of pure energy and pure consciousness, while maintaining the feeling of the physical body, go as deep into the space generated by the mudra as you can, and expand from that space into all of your body and aura simultaneously. Keep circulating awareness and breath in this space that way, explore it freely, and it becomes deeper and deeper. Maintain this 'step' as long as feels good to do. You may at this point, end this meditation gradually, focusing fully on the physical body feeling with eyes open, and write down your expreience for yourself. You can continue meditating at this point and take your awareness to the right side of your aura, imagine looking there with your hyperspace version of yourself. 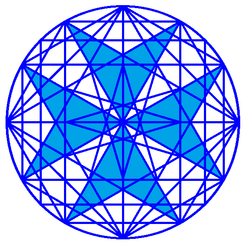 Step in your imagination into that space and take your awareness above your head, there is a godmind hyperspace crystal double-pyramid (looks like a rectangular rhombus shape with 45 degree angles from the side), made of a glowing blue-silvery-white transparent material. Go inside it and reside in it for as long as feels good. You may imagine detailed conversations with/as your higher mind (your higher mind will prefer you to perceive your higher mind as an aspect of your individuality). You may receive new, related meditations from your higher mind that way, or ways to continue from this meditation onward. Requesting this nonverbally would make this more likely. 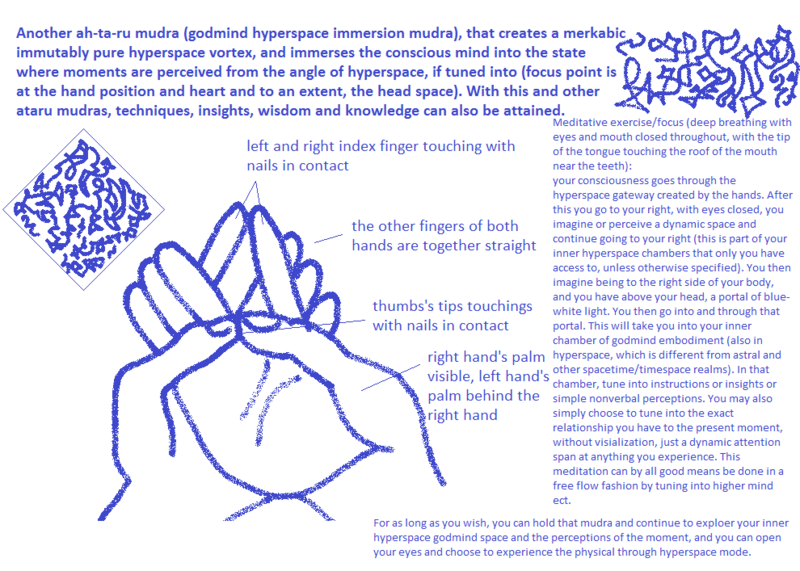 You may connect to the hyperspace godmind crystal at any time in various ways, such as using the mudra or imagining it and going inside it. Once you have stopped the meditation, breathe yourself back into your physical body feeling and you may write down your experience for yourself. This meditation will open and activate the hyperspace chakras, which is one way of saying that the chakras will open into aspects of existence that are outside of space and time. With hands in this position, breathe very deep breaths through the nose (keep the tongue touching the top part of the mouth, near the teeth and the teeth in relaxed contact with one another for as long as feels good (it may feel good for many minutes, perhaps to an hour), and then switch hands, breathe deeply the same waym for as long as feels good. While it is not essential to do a third round of this breathing, this would be done with the hands like they were placed in the first part. Doing several rounds (each time switching the hands) is good also, although beware of discomfort due to oversaturation of this energy, and stop when the feeling is that it is not needed to continue breathing this way. 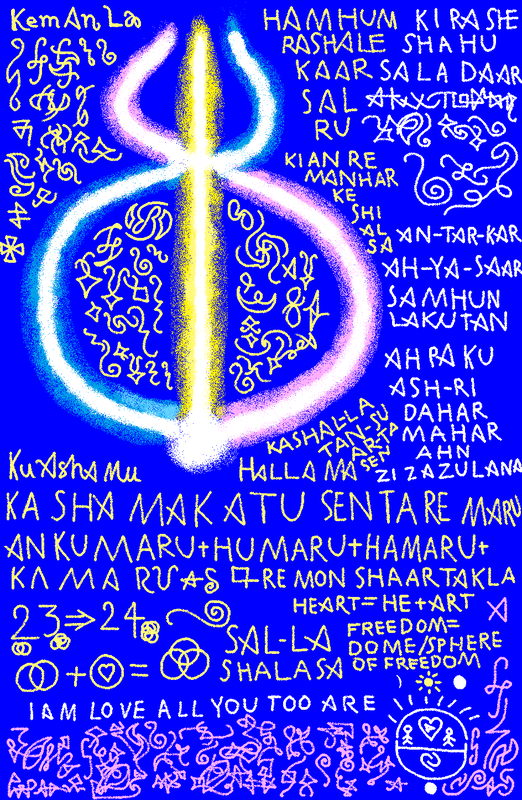 This kind of breathing opens and activates an infinity sign shaped hyperspace portal with the center at the heart chakra area in the center of the chest, saturates the physical body with energies from hyperspace (higher than 15 dimensional, with each breath, the energy unlocked is higher and higher frequency). Doing this balances the chakras and merkaba field spin rates, spin directions (the tip down spins counterclockwise and the tip up spins clockwise, faster than tip down). 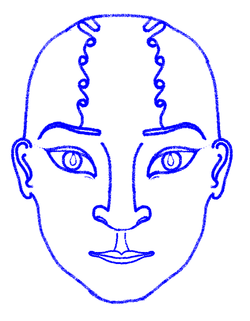 It will deepen connection to innerspace, hyperspace, while retaining physical body focus, and it will imrpove intuitive direct cognition/thoughts-feelings transference from soul, higher self. The ability to see intuitive visions may increase. 1. Stand in a wide space, in-doors or out-doors, would be good if it is a secluded natural place.2. Raise your arms and hands to the side, to horizontal position, straight, with palms directed towards the ground, fingers straight, slightly apart.3. While holding this position, begin spinning your body in a clockwise direction in the same place, without changing location, at a medium speed, and during spinning, breathe 24 times deeply through the nose. 4. After you have done 24 breaths, come to a complete stand-still, and place your hands, arms across your chest and take 3 very slow deep breaths.5. Raise your hands and arms again to horizontal position, this time, direct your palms towards the sky. 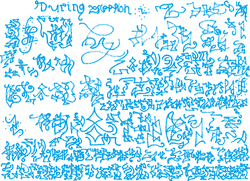 Start spinning, this time, in a counter-clockwise direction, and breathe 24 deep breaths through the nose, again.6. After the 24 breaths, come to a complete halt and repeat step number 4. 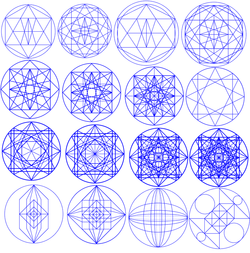 You have unlocked 24-48-dimensional energy (pure, timeless, spaceless). The amount of breaths determines the frequency of energy that unlocks.The next time you do this, increase the amount of breaths to 36, the next time after that, 48, then 64 (you can do this many times in a row, increasing the amount of breaths). A good high number to use is 128 breaths, although it may be a bit challenging to the shoulders. Increase the amount of breaths per spinning, equally for both the clockwise and counterclockwise parts, and make sure you do both spins. This exercise activates, expands, balances your aura, and increases the frequency of all of your aura layers and all of the bodies that do the exercise in the higher dimensions also. 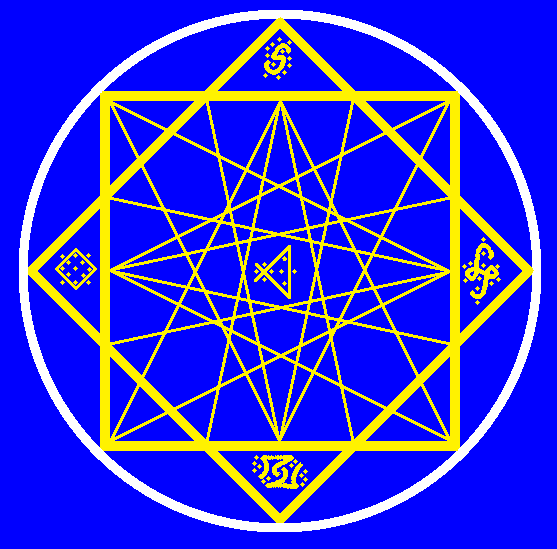 The physical body's motions tend to be done by the astral and etheric body also. This exercise will make your presence undetectable to lower frequency situations in this and other dimensions.Use this at least twice a day to increase your physical body's frequency if you wish, it is wise to keep the number of breaths above 23. This meditation is most effective if it exceeds 45 minutes, up to 3 hours. Doing deep meditation for 2-3 hours every day is recommended, as it transforms the entire body's functioning into greater and greater higher mind embodiment. 1. While holding the hands at the height of the navel or solar plexus area, place your left hand's thumb onto the line where the fingers of your right hand expand out from, as seen on the picture, in contact. 2. Connect the tips of your thumbs together so that the nails and the skin are touching. 3. 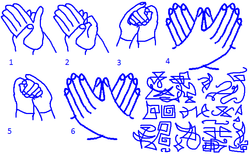 Clench the fingers of your right hand around your left thumb while holding the thumbs in contact as seen in step two. Hold the other fingers of the left hand in contact lightly with the outer surface of the right hand. Hold this hand position at the height of the solar plexus or navel, or anywhere below the heart (the fingers of the right hand should be in as complete contact as possible around the left thumb). You may fully unlock this mudra with the audible or inaudible sound tone 'pu' while directing focus onto the mudra. Breathe deeply in the following way (concentrate on your heart chakra, root chakra, third eye chakra, and the central vertical current):, maintain contact between your tongue's tip and the upper part of the mouth at all times, breathe through the nose only; starting with the first breath, make every odd number breath (1st, 3rd, 5th, 7th, and so on) with tensed/contracted muscles at the area used for the stopping of urination (those muscles can be referred to as kundalini muscles due to their effects at unlocking kundalini into the root chakra of the physical body), and make the other breaths, 2, 4, 6, and so forth, without the contraction/tension at that area. Continue to breathe calmly/deeply that way for as long as you feel like you can, while maintaining focus on the heart and third eye chakras. 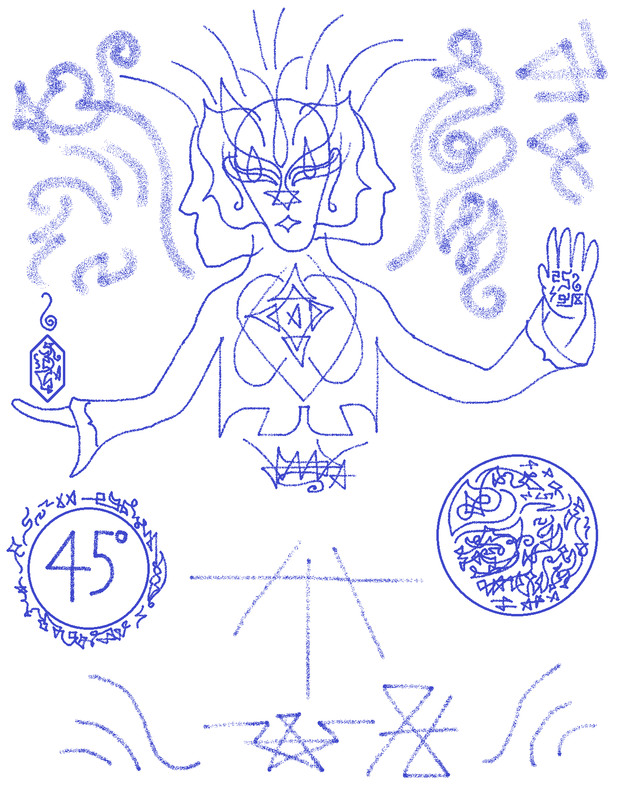 Focus on energy arriving through your central vertical current from the core of 5th dimension Earth (left thumb, which is clenched in this position, is where the axiatonal line for the 5th dimension frequency band runs through, whereas the mudra/hand position is a way for the energy to be accumulated into the physical body directly, by forming a hyperspace vortex between many dimensions at once, due to the crossing of several axiatonal/vertical lines of the physical body, specifically used at the fingers and hands). 4. Maintain the breathing exactly as specified with breaths 1, 3, 5, 7, 9, and so forth, with the tension at the muscles specified (the same action as done to stop urine flow). 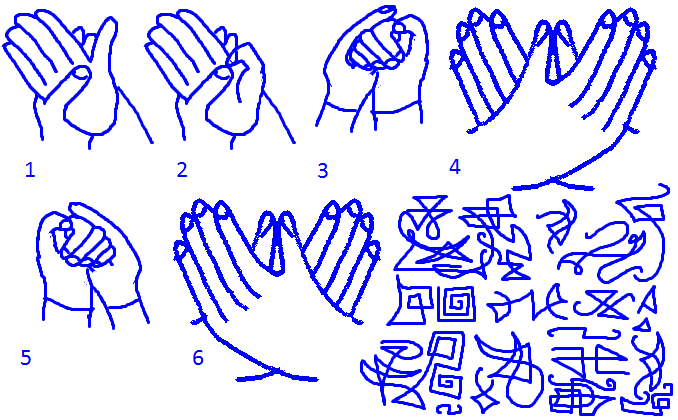 While doing so, place your hands onto your chest as shown in step four, thumbs not needed to be in contact, however they can be. This time hold you right hand over your left hand as they are gently on the chest, no pressure is to be generated onto the chest and its nerves. 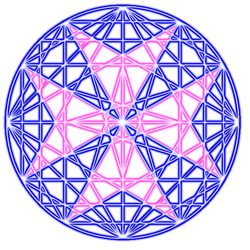 Continue to breathe the same way, see the generally blue-white-gold-pink-violet energy as already circulating between 5D Earth (blue light wave band, semi-etheric/semi-physical matter plane) core and your physical, nonphysical bodies during breathing that way. The precision of the visaluzation is not very imortant. 5. Do steps 1-4 completely with mirrored hand positions, clenching the right thumb with the left fingers, and having the left hand over the right hand on the chest in step four. Breathe also as was specified above, with the varying tension in the muscles specified (those that are designed to stop urine flow, however they work to activate kundalini into the physical body). 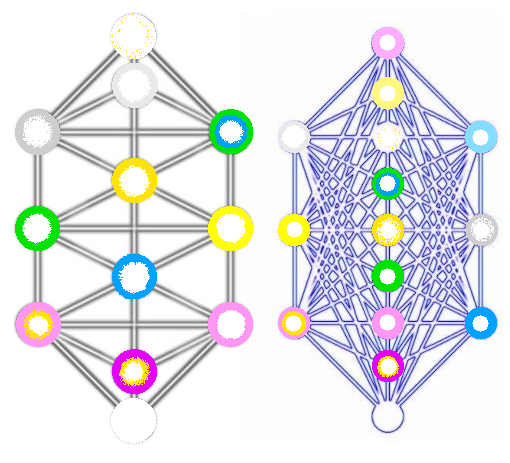 The right thumb is where the axiatonal line for the 8th dimension (golden light wave band, etheric matter plane) runs through. 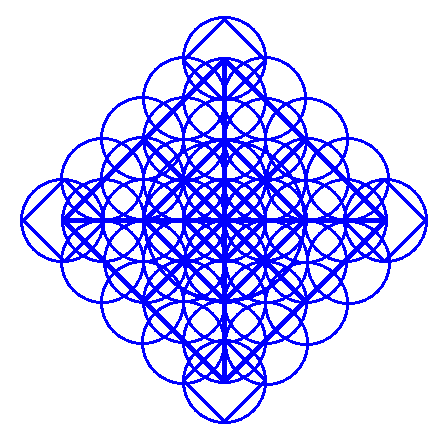 In step five, see the energy as coming from the core of 8th dimension Earth. 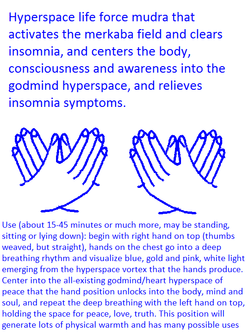 You may use each of those hand positoons on their own to generate kundalini from Earth cores by using the thumb clenching ones, and by generating hyperspace life force currents by using the hands on the chest position.